Microsoft Access 2016 for Beginners Master the Essentials | Free eBooks Download - EBOOKEE! Posted on 2018-05-28, by nokia241186. Everyone will rely on you as a superstar user of Access 2016 with this comprehensive 10-hour course comprising more than 70 video tutorials. Microsoft Access 2016 for Beginners: Master the Essentials is the ultimate video instruction course for those who have no previous experience with this powerful software. Now you can get the full picture of how Microsoft Access works with clear, easy to understand instruction in this impressive 10-hour course spread across 70 professionally produced videos. Microsoft Access is the leading database application that has become a standard in businesses and organizations around the world. These days, having the ability to work with a database is key to running an efficient and capable operation. Bosses everywhere appreciate any employee who is well trained in MS Access. Now that person can be you! Increase your value in the workplace by mastering one of the most important but little understood options in MS Office. You'll see how it gives you major advantages with your personal and social projects. Also great for people who are already familiar with MS Access, our courses are designed to allow you to skip ahead to more advanced processes and explore all that's new in version 2016. Microsoft Access 2016 for Beginners: Master the Essentials starts at the very beginning, showing you where to get your copy of MS Access and how to install it on your computer. Before going further, you'll get a quick tour of all of the new features and improvements in 2016. 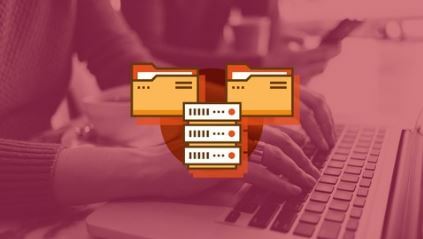 You will learn how to get started easily with database templates that make the entire process faster. Then you'll see how to create, save and open databases. After a tour of the Access Workspace and Backstage, you'll get a complete explanation of the toolbars and ribbons. Next, you'll gain a strong grasp of keyboard shortcuts that will greatly increase your speed and efficiency. You'll progress to creating your own working database with step-by-step video instruction that takes you through the entire process, helping you master details while understanding the big picture. Later the course goes into importing data from Excel and creating and working with forms and sub-forms. As you become more advanced, you'll learn how to use queries and validations, create reports and print your projects. This course contains comprehensive instructions through 70 professionally produced videos within ten chapters. You'll supercharge your database projects and learn valuable new skills for complex data projects at work. Get started with this course now and easily become an expert at MS Access 2016. No comments for "Microsoft Access 2016 for Beginners Master the Essentials".